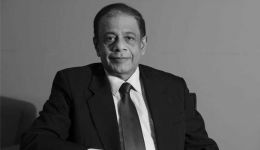 Landmark Developers, Sri Lanka’s new property developer with innovative concepts and ideas for modern homes, has launched “Comfort Dwellings”, a brand-new affordable housing concept for the new year. “Comfort Dwellings”comprises affordable, high-quality homes with modern contemporary designs and architecture. All homes will be custom-built with an emphasis on promoting a sustainable lifestyle. Located in fast-developing suburban areas such as Thalahena, Malabe, Athurugiriya, Thalangama, Kaduwela, Kottawa, and Homagama,“Comfort Dwellings” homes will be in close proximity to all modern conveniences required for a family to live comfortably. All homes will be single or two-storied with a total area of 1,000 sq.ft. upwards with 2-3 bedrooms, 2 bathrooms, 2 car parks as well as pantry, dining, kitchen and living room. Clients will be able to customise the homes as per their requirements in consultation with Landmark’s designing team while the latest technology will be utilised to provide a state-of-the-art home. The homes will be ideal for individuals in the middle-income bracket such as senior executives and managers who are looking to invest in their first home. All “Comfort Dwellings” homes will include local authority approvals, land survey, access to loan facilities, tax benefits for the expatriate community, legal and financial consultations, water and electricity connections, fixed phone lines, cable TV connections and maintenance facilities. Landmark Developers sources most of the materials for the homes through local companies with all of them being reputed, high-quality brands of international standards. Lead by a renowned businesswoman with over thirty years of experience in the design field and driven by a young, dedicated and enthusiastic team, Landmark Developers is a one-stop solution for innovative real estate solutions providing end-to-end services to clients in a collaborative environment to meet the varying requirements of every client. Along with their design and construction expertise, the company also offers legal, financial and banking consultancy services. Landmark currently has a partnership in the US with a focus on the states of California and Texas. In Australia, the company is operating in Melbourne, Sydney, Perth and Brisbane through their real estate partners. Elaborating on the concept of “Comfort Dwellings”, Eksith Hapangama - Managing Director of Landmark Developers stated, “As a fast-growing urban housing provider, we commenced Comfort Dwellings primarily because we identified a need in the real estate market for individuals who are looking to purchase their first home at an affordable price of around Rs.8 million upwards in the immediate suburbs of Colombo such as Thalahena, Malabe, Athurugiriya, Thalangama, Kaduwela, Kottawa, and Homagama areas. This new concept is in line with our Vision to ‘be the leader in Sri Lankan sustainable real estate solutions with a global presence’. It provides the perfect opportunity for clients to custom-build a modern home for sustainable living. The new generation wants space to socialize, so it’s less about the square footage and more about its beauty and aesthetics.” He added that the company strongly believes in incorporating technology into their homes. “For instance, you should be able to control everything in your home from your smartphone or tab while on the move. Such smart technology is vital to take Sri Lankan homes to the next level in terms ofinnovation and convenience.Building sustainable, self-sufficient homes is also an important aspect of “Comfort Dwellings”. If a home can acquire water through tube wells and rainwater harvesting and use solar power to generate electricity, we are looking at a scenario where there is minimum or even zero dependency on an outside party for both water and electricity,” he added. Landmark Developers also focuses on the construction of low, mid and high-rise buildings for residential and commercial purposes including the management of such properties and providing construction expertise and services to clients. Nano Homes, a first-of-its-kind concept pioneered by the company where the design is based on a combination of pre-engineered sections and sustainable construction, is another notable solution offered by them.